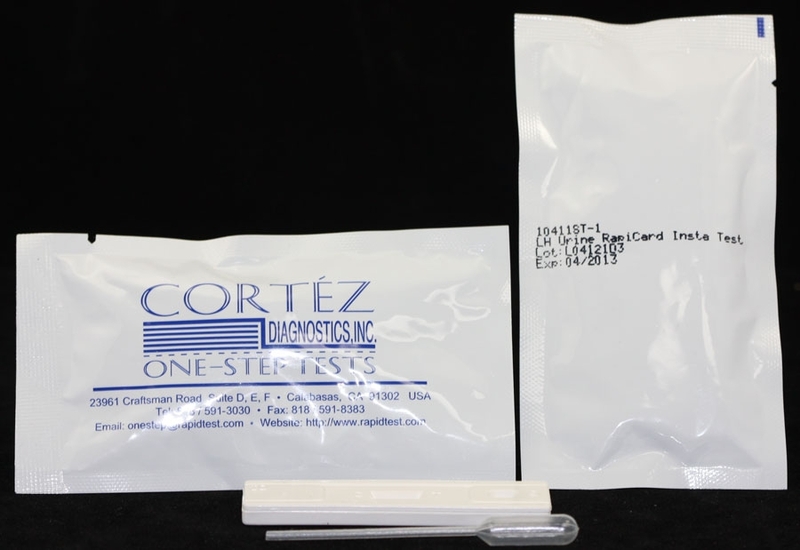 Los Angeles-based Diagnostic Automation/Cortez Diagnostics, Inc. offers a OneStep LH Urine Midstream Ovulation Rapid Test (cassette) -Â Self testing kit which is an immunochromatographic one-step in vitro assay.Â The LH Urine Midstream Rapid Test will qualitatively or semi-quantitatively detect the presence of human luteinizing hormone in urine and is designed to be used to predict the time of ovulation in women.Â The LH Urine Midstream Rapid Test is a fast, accurate, and convenient method to determine when the female body will ovulate, the most likely time for conception to occur.Â The LH Urine Midstream Rapid Test is for in-vitro diagnostic use only. The LH Urine Midstream Ovulation Rapid Test is specifically designed to detect the LH surge during ovulation when the luteinizing hormone is in elevated quantities.Â Conception is most likely to occur within 36 hours following the LH surge. See LH Urine Midstream Ovulation Urine Rapid Test Product Insert for more specific details on preparation, procedures, storage, quality control, and interpretation of test results. Diagnostic Automation/Cortez Diagnostics, Inc. also offers several other Urine Rapid Tests:Â LH Ovulation Rapid Test - cassette (6 days Pack), LH Ovulation Rapid Test - cassette (10 days Pack), LH Urine Rapid Test (3.5 5 mm strip), LH Urine Rapid Test (5 mm strip),Â and an LH Urine Rapid Test - cassette.Â For more information about these Urine Rapid Tests, or any other Rapid Test, ELISA Test, CLIA Test kits, Serology test, or IFA Test kits, please contact our Customer Service Representatives at 818-591-3030.